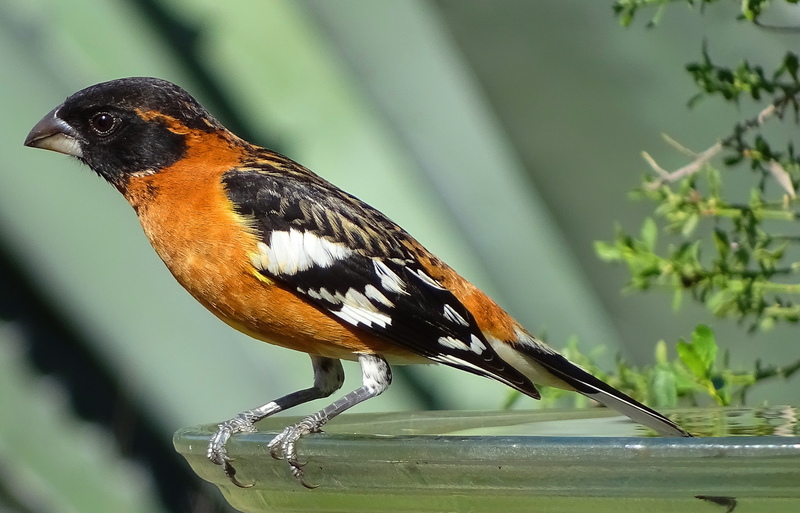 There are lots of birdies in the southern hemisphere! They can fly where humans (and boats) flounder. 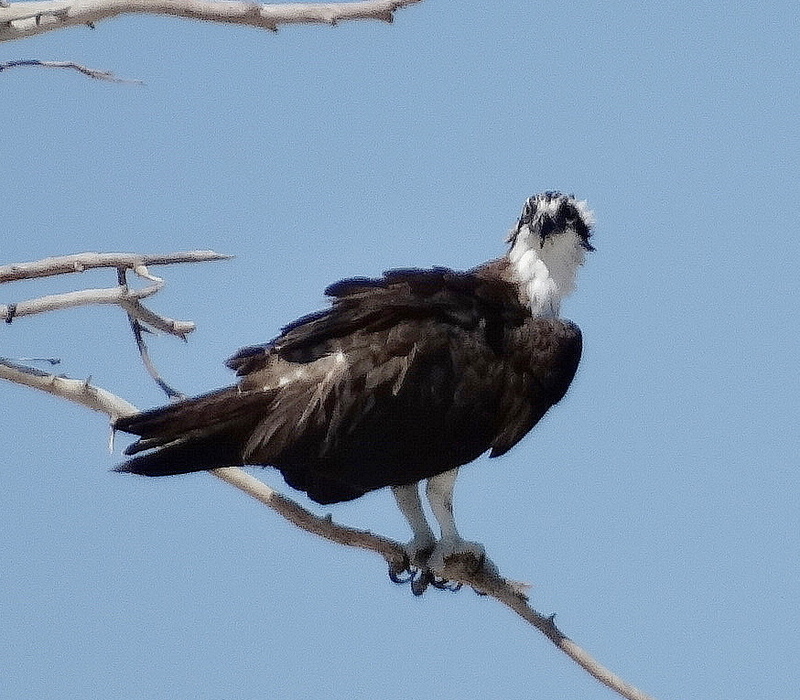 This osprey was the furthest north of all the birds pictured here. 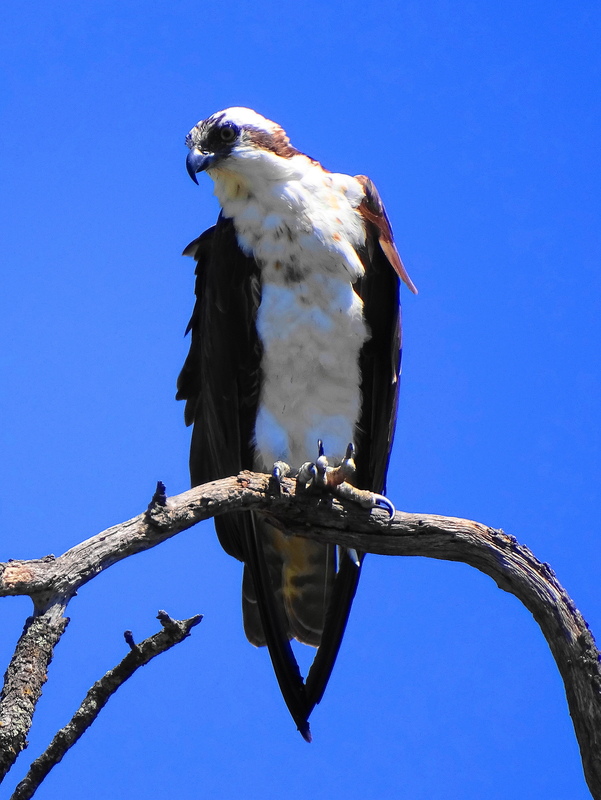 Ospreys are the most widely distributed bird in the world after peregrine falcons, and can be found on every continent except Antarctica. 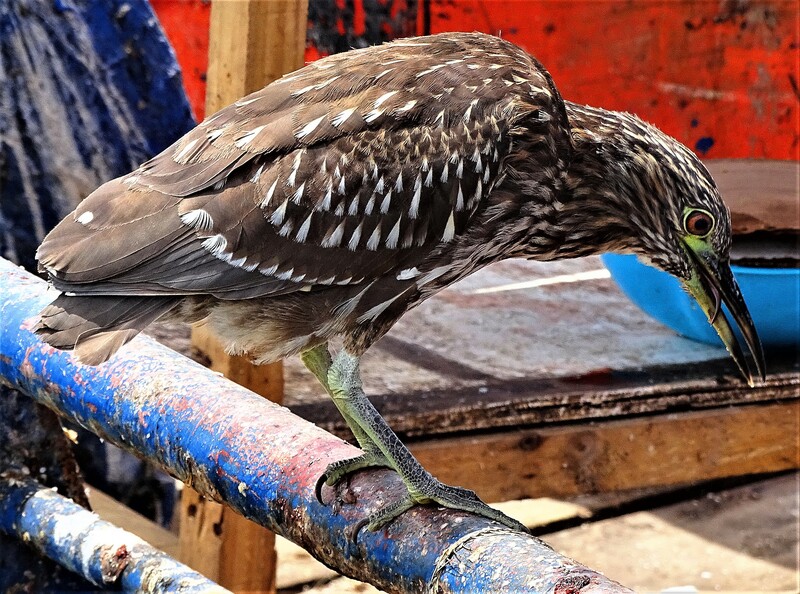 This guy was in Peru. 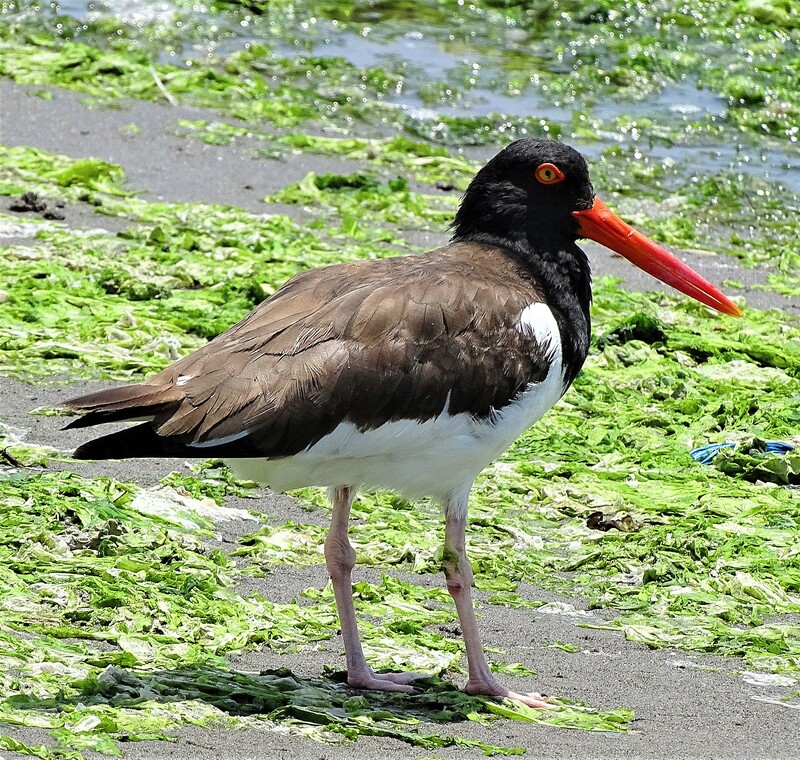 Magellanic Oystercatchers live on the tip of South America in Argentina, Chile, and The Falkland, Sandwich, and South Georgia Islands. 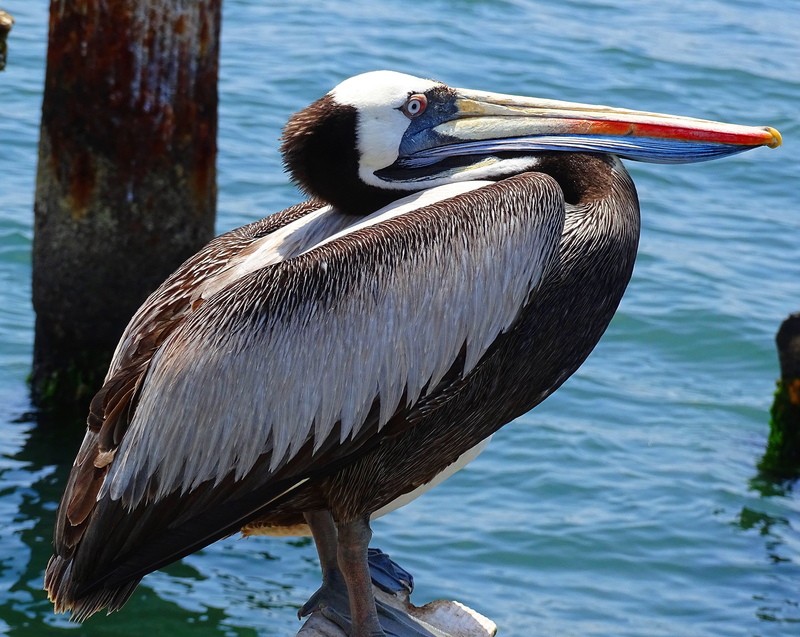 Peruvian Pelican’s are a near threatened species and are twice the size of their Brown Pelican cousins. 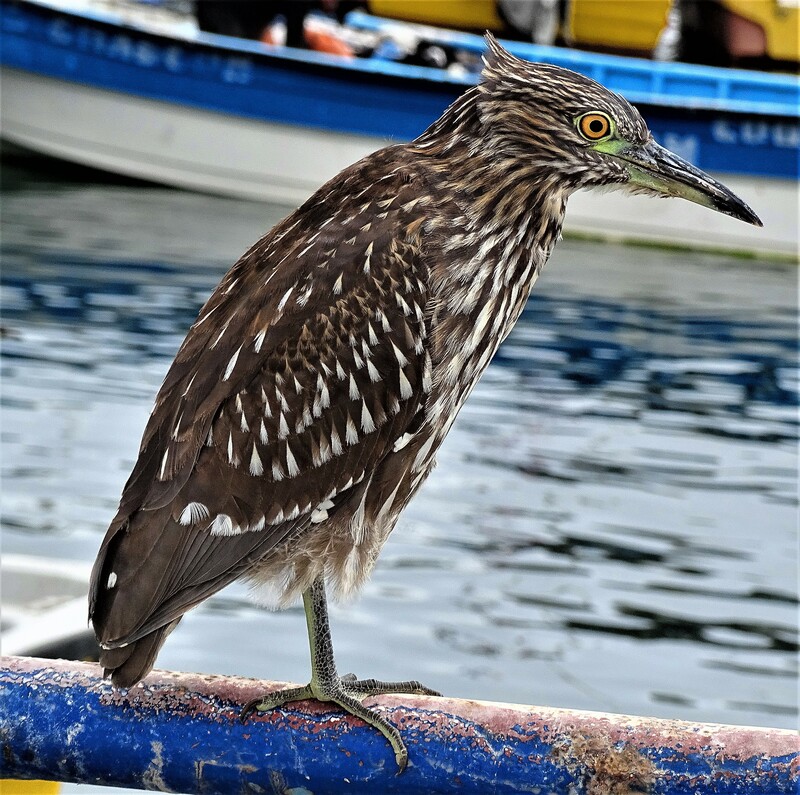 They can be found off the coasts of northern and southern Chile and Argentina. Standing next to them, they reached my shoulder! 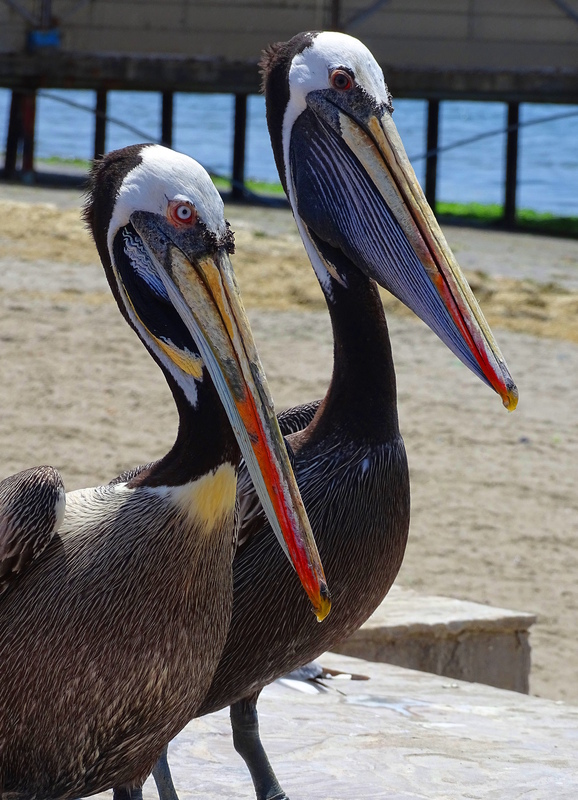 These Brown Pelicans live as far south as the northern coast of Chile, which is where their territories overlap with Peruvian Pelicans whose distribution continues to the south. was busy catching and swallowing a snake! 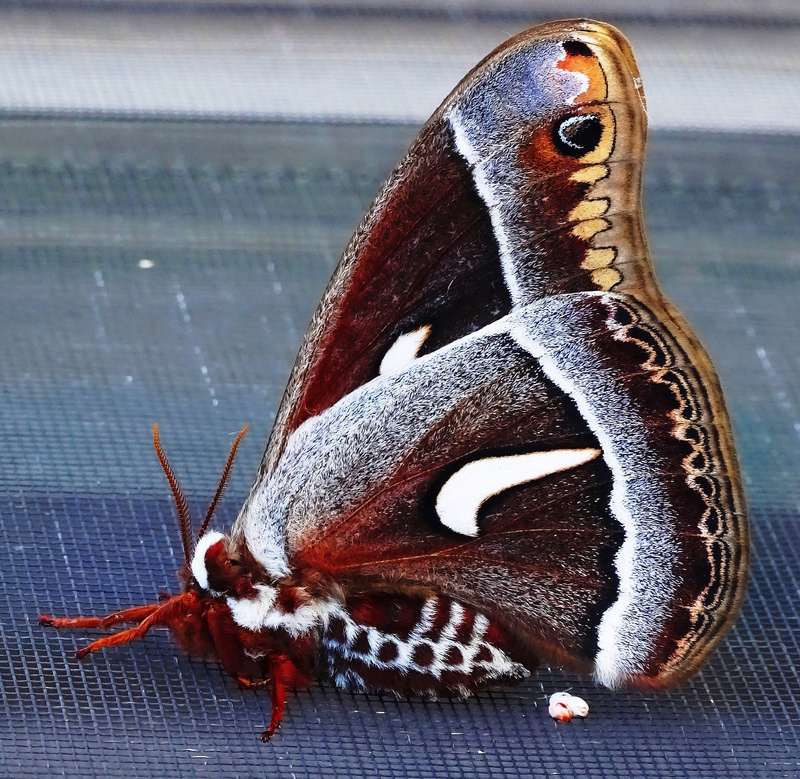 Check out the critters who dropped by The Holler in the last week or so. 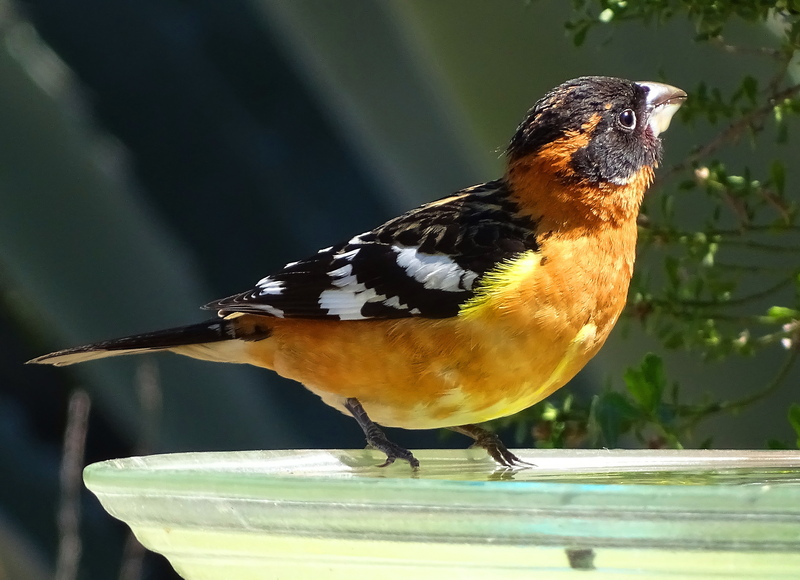 Grosbeaks are building nests all over Hollerdom. 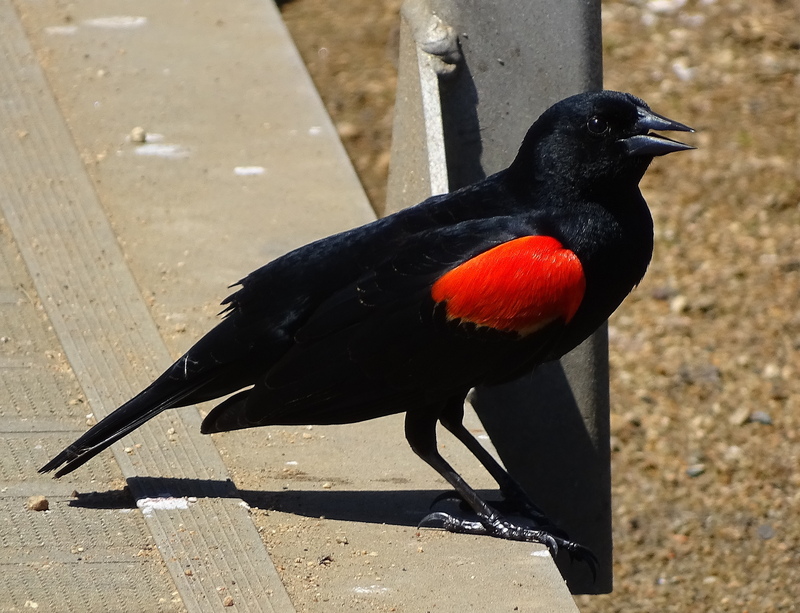 Red winged blackbirds are new arrivals and are hopefully nesting too. 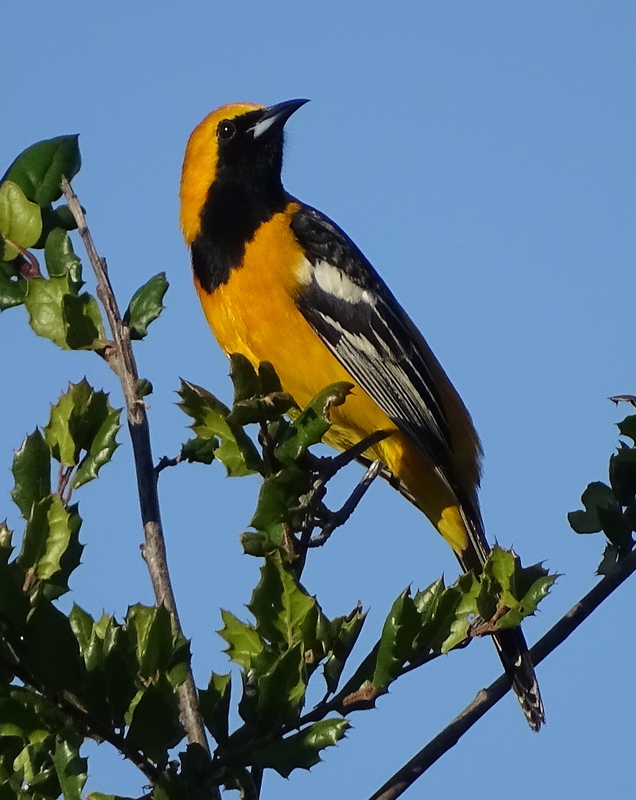 The orioles own the place, and their distinctive hanging nests are up and going. 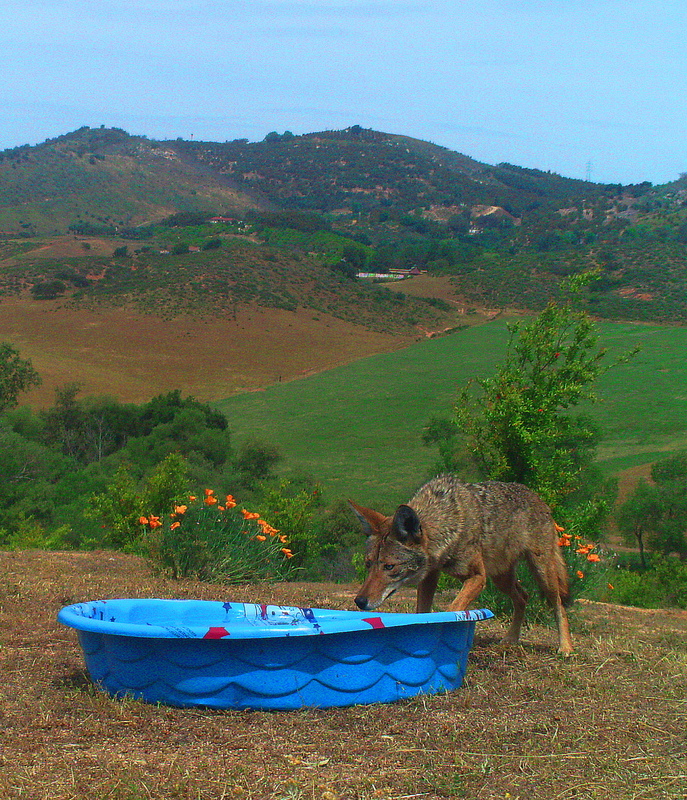 Yep, we put out a snoopy toddler pool for wildlife watering. Wily E. sniffed it a bit and helped himself mid-day, soon after we filled it! Cheeky wily one. 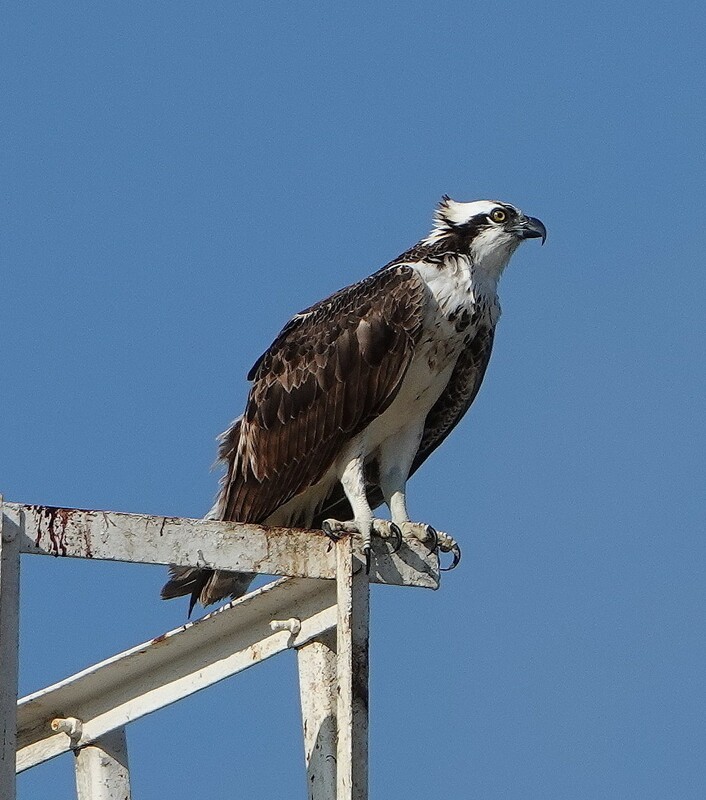 Osprey came to check out all the action. 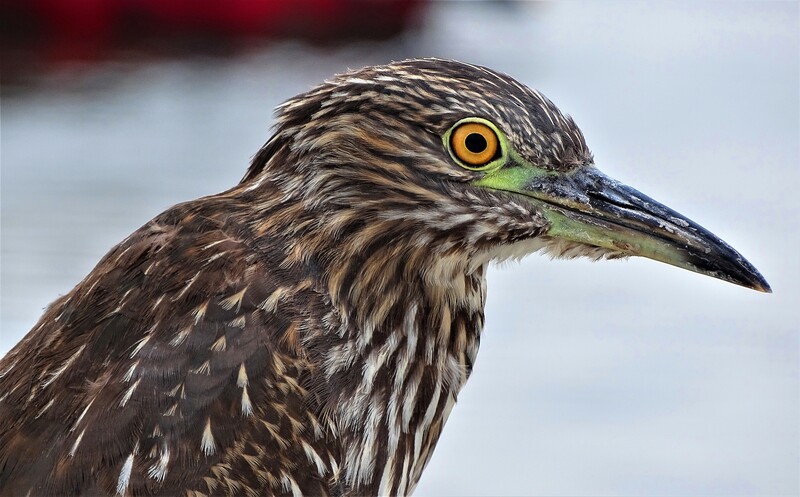 Maybe he followed the bald eagle. 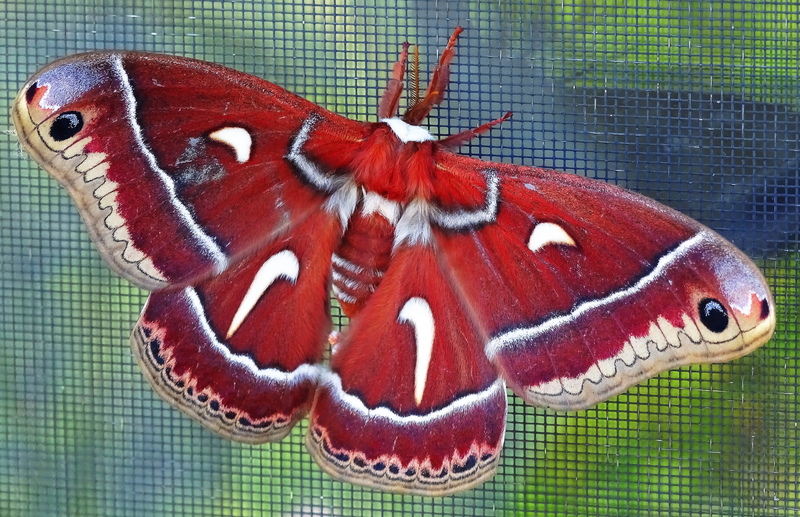 One Ceanothus Moth typically shows up each year, usually in May. 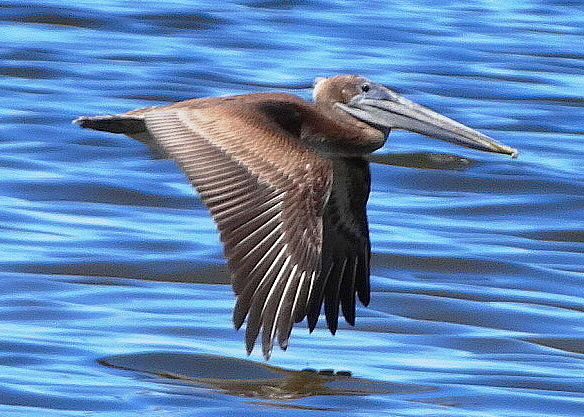 This one was early and had a five-inch wingspan! 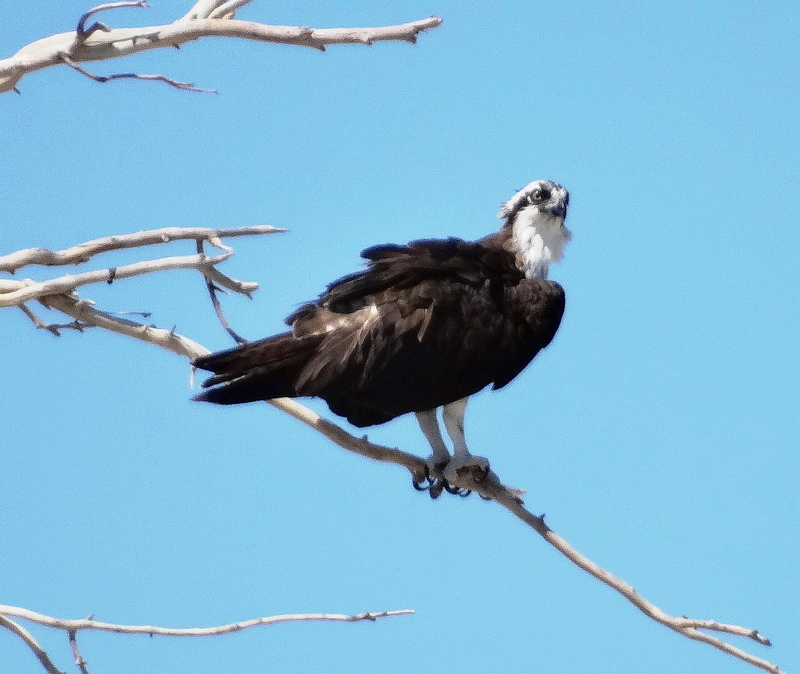 Summer Wildlife Anza Borrego Desert State Park! 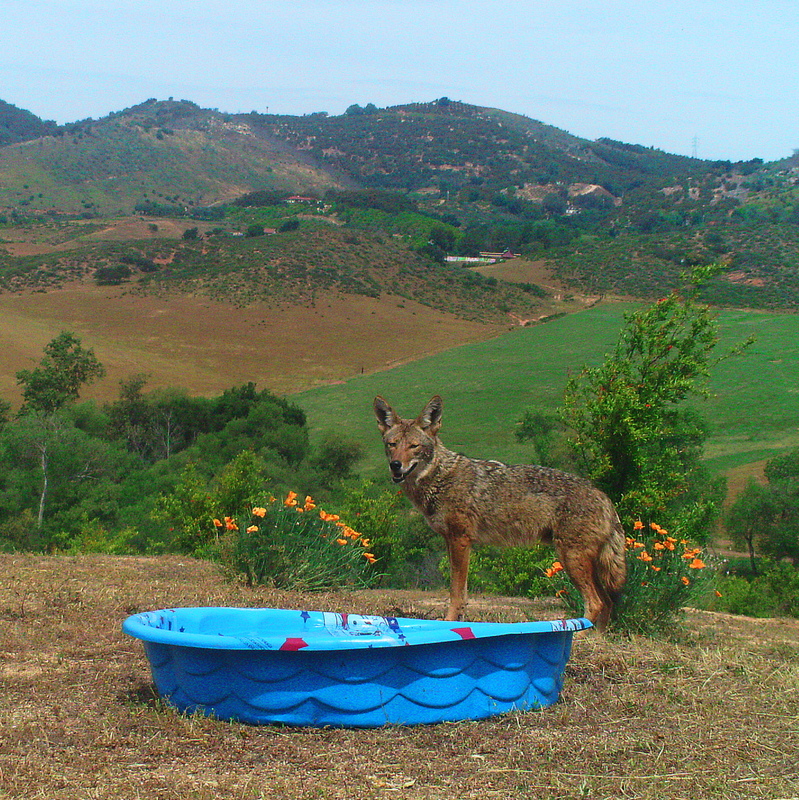 When the mercury rises at Anza Borrego State Park in the summertime, the tourists tend to leave, and the wildlife tend to come closer. 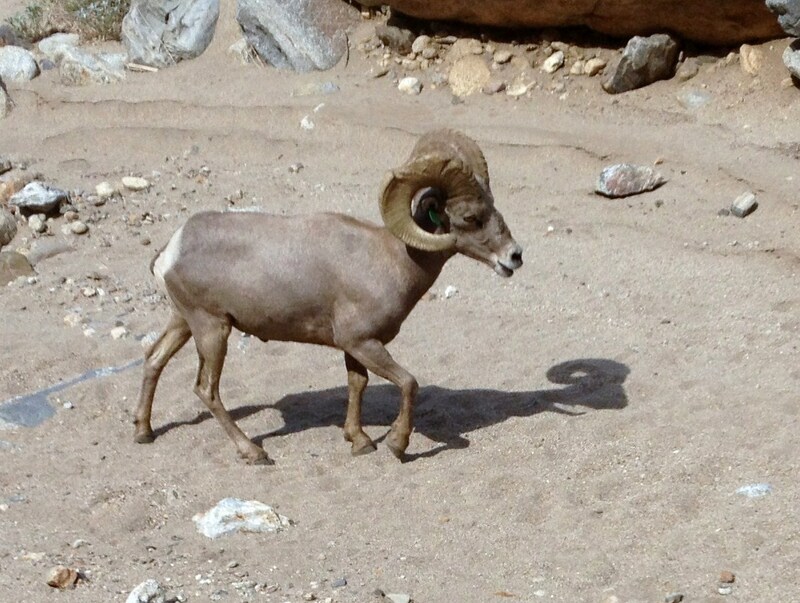 Check out this Big Horn sheep photo my son-in-law, Sean Malone, took this morning on a hike with his i-phone. The sheep walked right up to him on the trail. 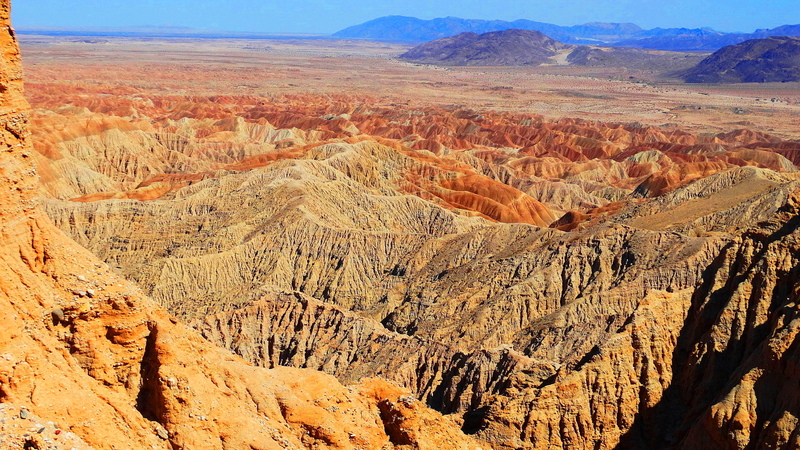 The Borrego Badlands present stunning eroded topography in the summer heat. 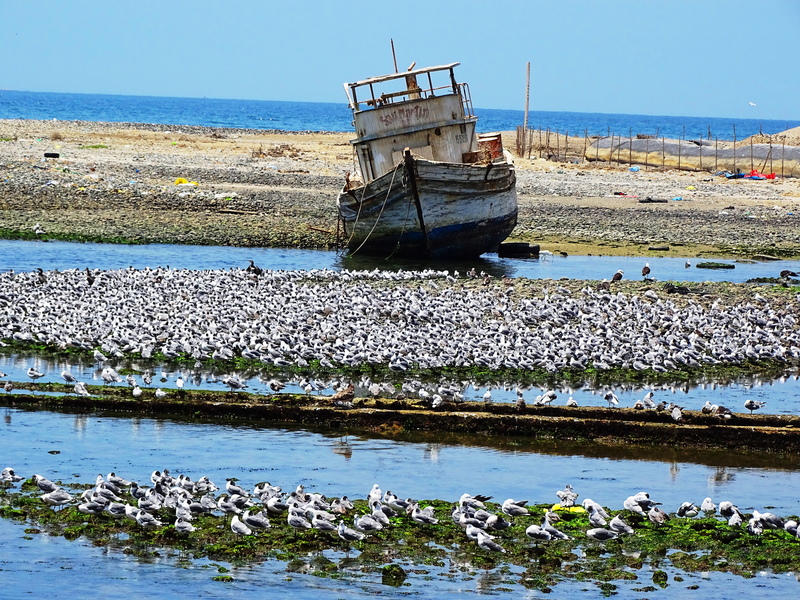 They stretch on into the horizon and are loaded with fossils from ancient seas. 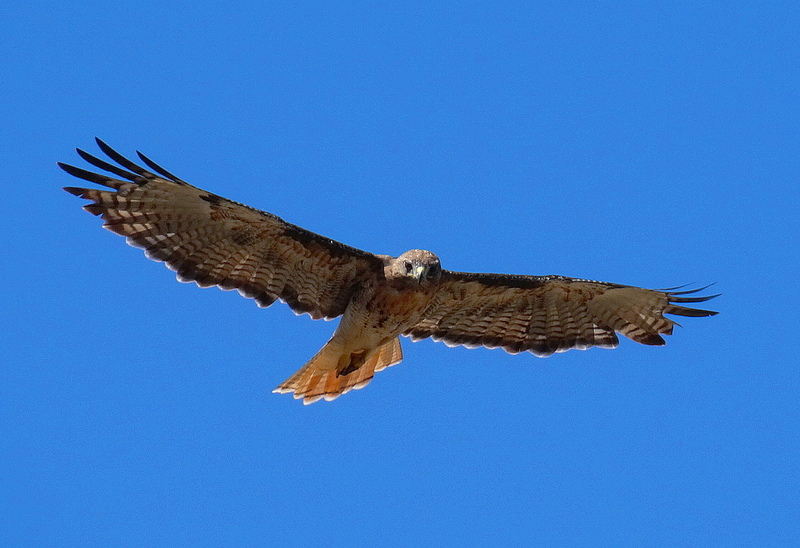 Red Tail Surveying his realm! 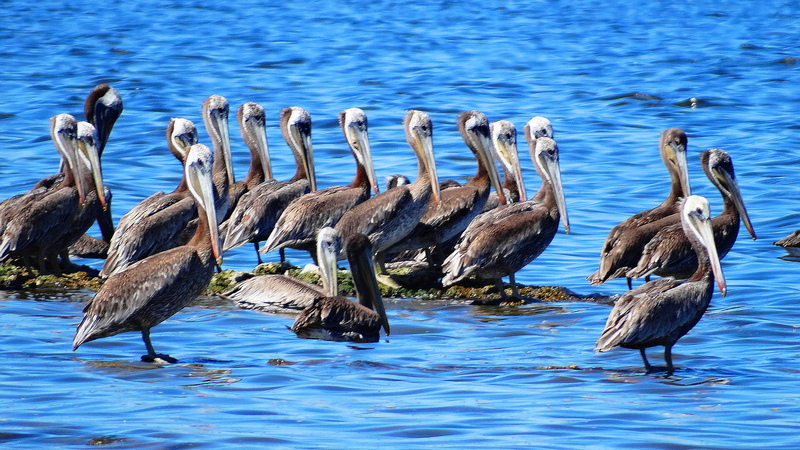 The Salton Sea is one of the world’s largest inland seas. 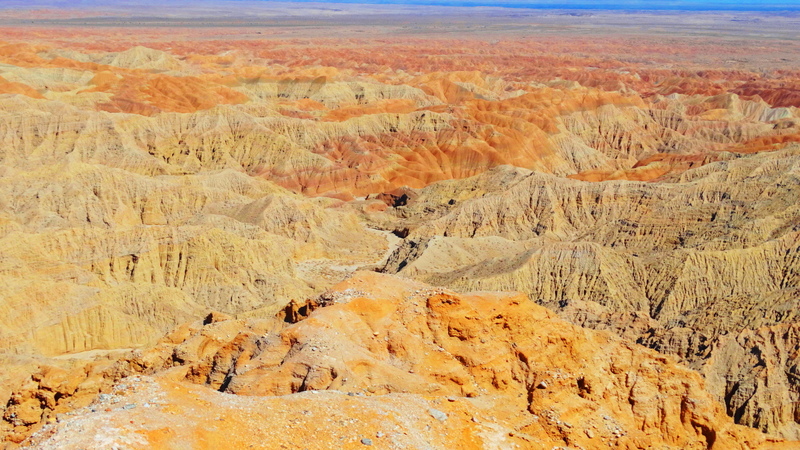 It is also one of the lowest spots on earth at -227 below sea level. 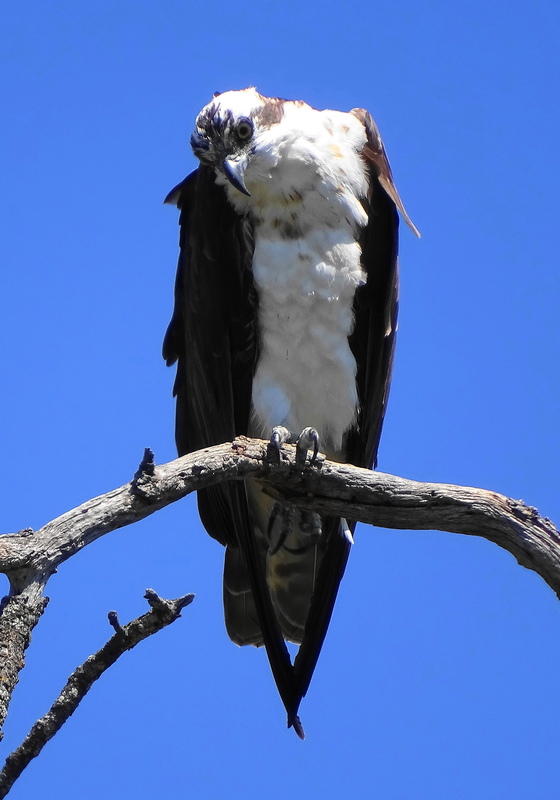 This Osprey was checking out the scene. 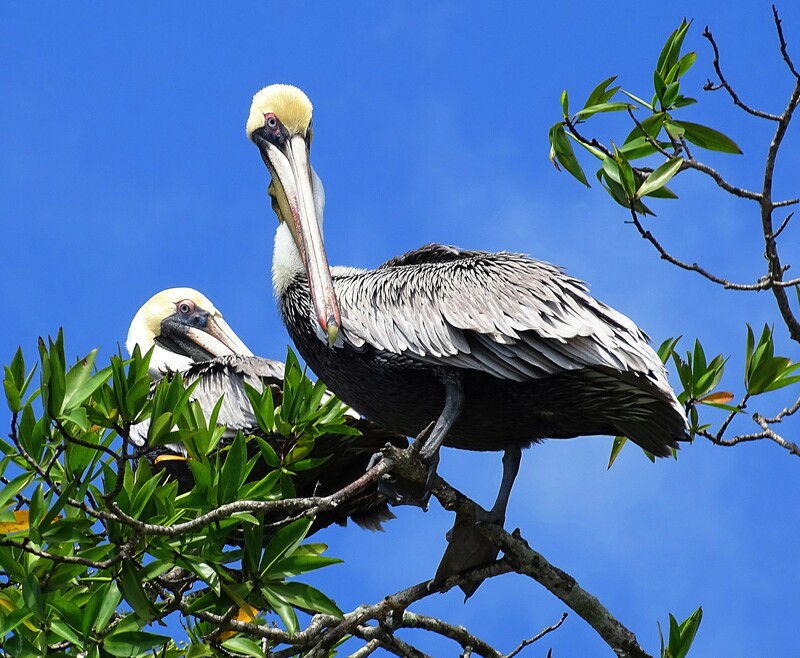 The sea is referred to as a “crown jewel of avian biodiversity.” 400 bird species are found here, along with 30% of the American population of White Pelicans. Cheers to you from Borrego, a relatively warm 42C!